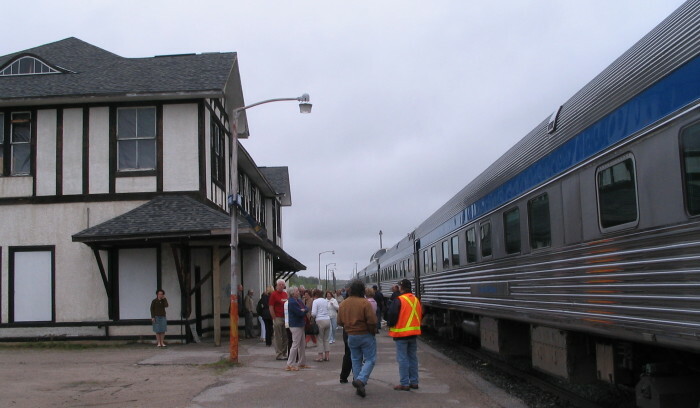 Crossing Canada by Train … Again! OK, I confess. 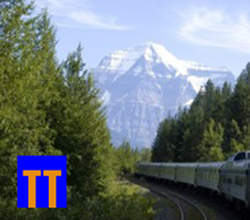 I’m going to be taking VIA Rail’s trans-Canada train again. 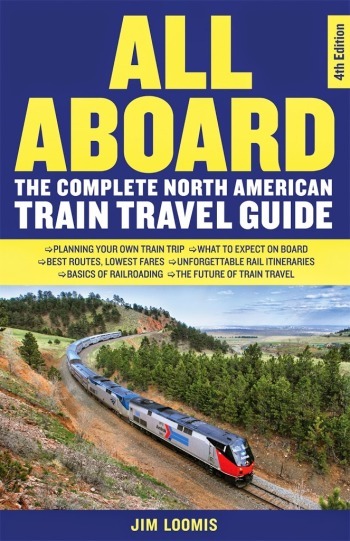 In the middle of April, following the annual meeting of the National Association of Railroad Passengers (NARP) in Washington, I’ll take Amtrak up to Toronto, then board VIA’s train #1, the Canadian, for the ride to Vancouver on the Pacific Coast. I’m embarrassed to admit that I’m not really sure how many times I’ve taken this train. Seven, I think, although this could be Number Eight. Yes, the scenery is fabulous and that’s mostly what I’ve written about and photographed on my previous trips. This time, however, I want to spend more time writing about the equipment, the accommodations, the food and the service, and about some of the people I’ll meet en route. That said, here are some photos taken on the Toronto-Vancouver ride I took a few years ago. The train stops a lot–scheduled stops and also flag stops. This is Sioux Lookout in western Ontario. There are several dome cars on the train and seats are obviously at a premium because of unique views like this. 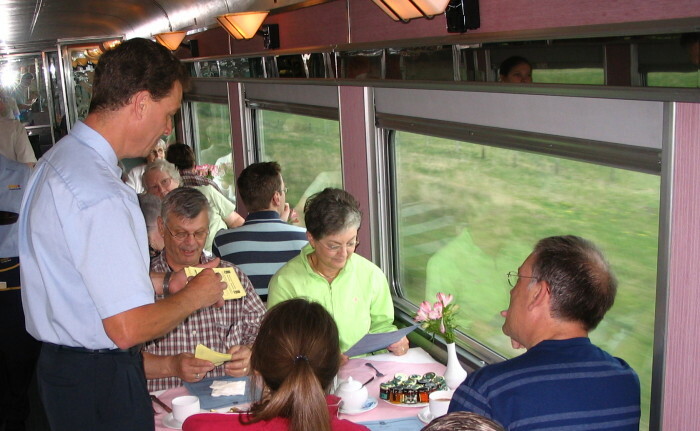 The food on train #1 is really excellent … and all prepared right on board. Here’s another view from the dome, taken shortly before arriving in Winnipeg. 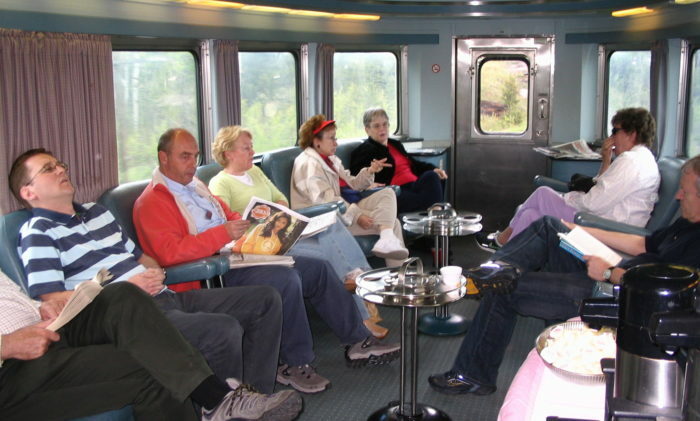 This is part of the lounge area in the bullet-ended Park cars that bring up the rear on all of Via’s long–distance trains. Behind me is another lounge with an attendant who will fix an excellent Bloody Mary … unfortunately, not until 10:00 in the morning. 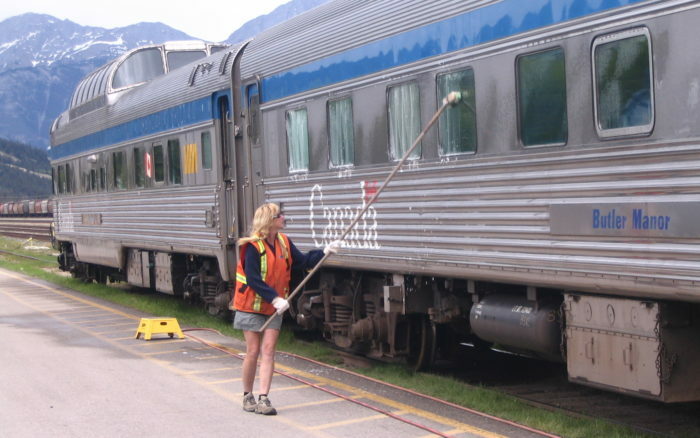 There’s a crew change at Jasper and that’s also where every window in the train is washed. After all, we’re in the Canadian Rockies and there’s a lot to see. On the last morning, the train follows the Fraser River out of the mountains and through a beautiful valley. Vancouver, the end of the line, is about three hours away. 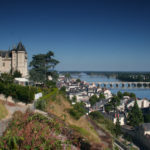 I have said–and I do believe–that this is one of the ten or twelve best train rides in the world! Previous First Class Isn’t Always a Big Deal. NextNARP Will Urge a Daily Cardinal. Be sure to report back on the newly re-modeled bullet lounge and bar in the Park Car, as well as the new Prestige Class all-inclusive compartments. 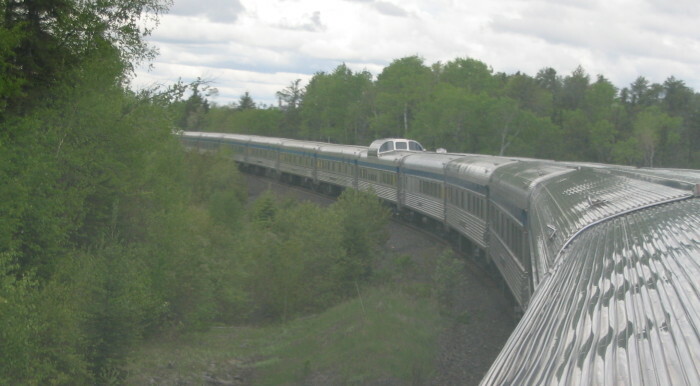 Caveat–they may have an express meal on arrival day in Winnipeg, as the on-board crew changes there, and the train is replenished. My favorite Service Manager (Steward) is in your photo–Barry. Still keep in touch. Cocktails not just limited to the Park and Skytop cars, but always available in the diner, which continues to offer a different menu for each and every meal–and what selections! 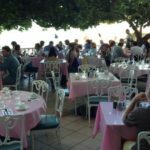 Also welcomed is the organized seating for meals at lunch and dinner, based on arrival for breakfast; no incessant PA racket in the sleepers calling people to the diner. A great trip throughout all four seasons!